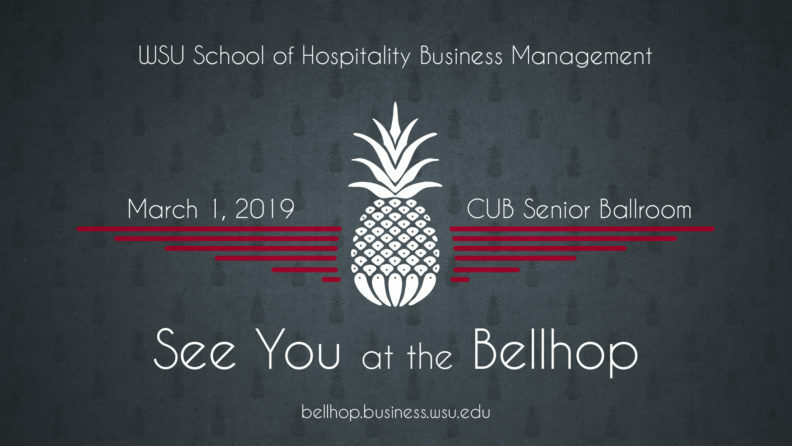 PULLMAN, Wash. – The School of Hospitality Business Management at Washington State University will host its annual Bellhop — a celebration of the hospitality program that began in the 1940s and features a dinner and dancing. The event also includes a celebration of new inductees into the SHBM Hall of Fame. The event will begin at 5:30 p.m. Friday, March 1, in the CUB Senior Ballroom. The public is invited. Tickets are $125. Registration is available Thursday, Sept. 27 through 5 p.m. Friday, Feb. 22, at the WSU Bellhop website or by calling 509-335-5766. The Bellhop was a longstanding fundraiser that ran from the 1940s to the 1980s and was revived in 2017. Students turned the women’s gym into a nightclub for an annual dance, drawing attention to the hotel and restaurant program and raising money for their seniors to travel and tour some of the finest hotels in the country. Each year, the club selected a national bellman or hotel sales manager to honor and bring to Pullman for a series of events. “The purpose of bringing the Bellhop back is to honor the past, celebrate the present, and build the future of the School of Hospitality Business Management,” said Nancy Swanger, SHBM director and Carson College of Business associate dean.